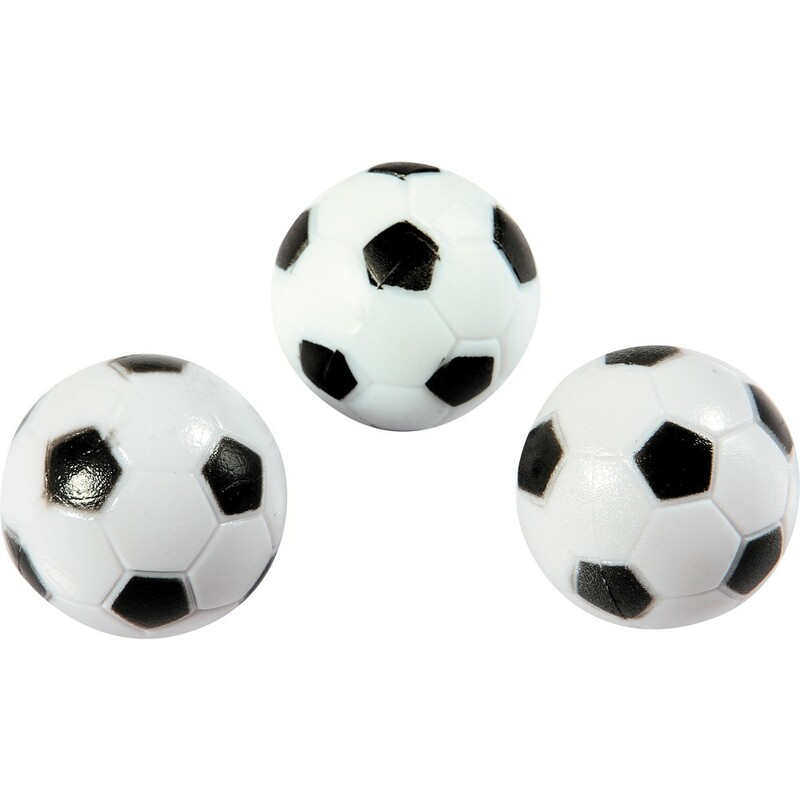 These black and white replacement soccer ball style foosballs work with virtually any foosball table. 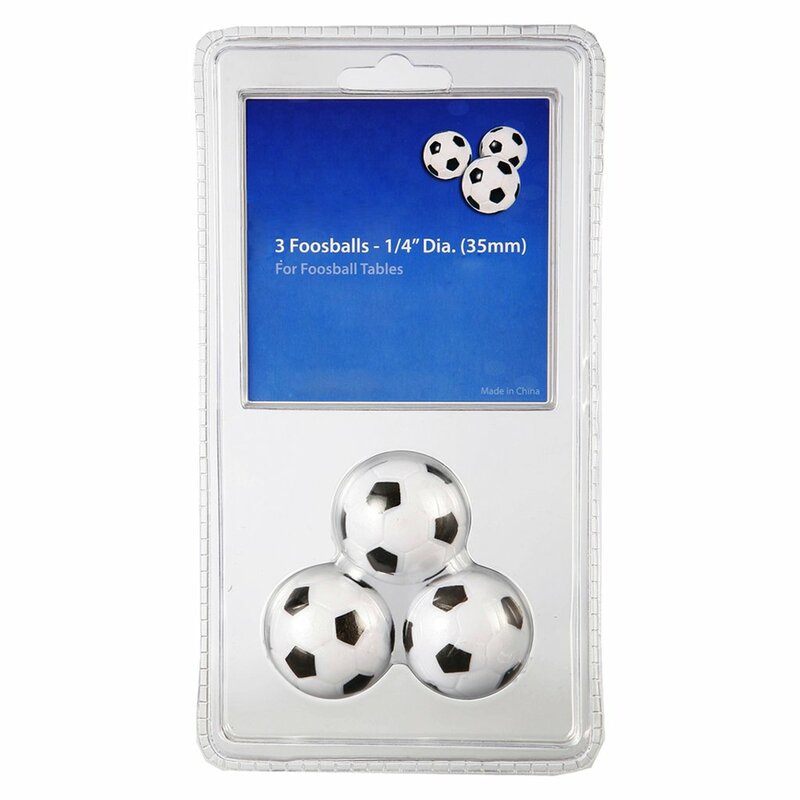 Each set comes with three regulation 35mm foosballs. 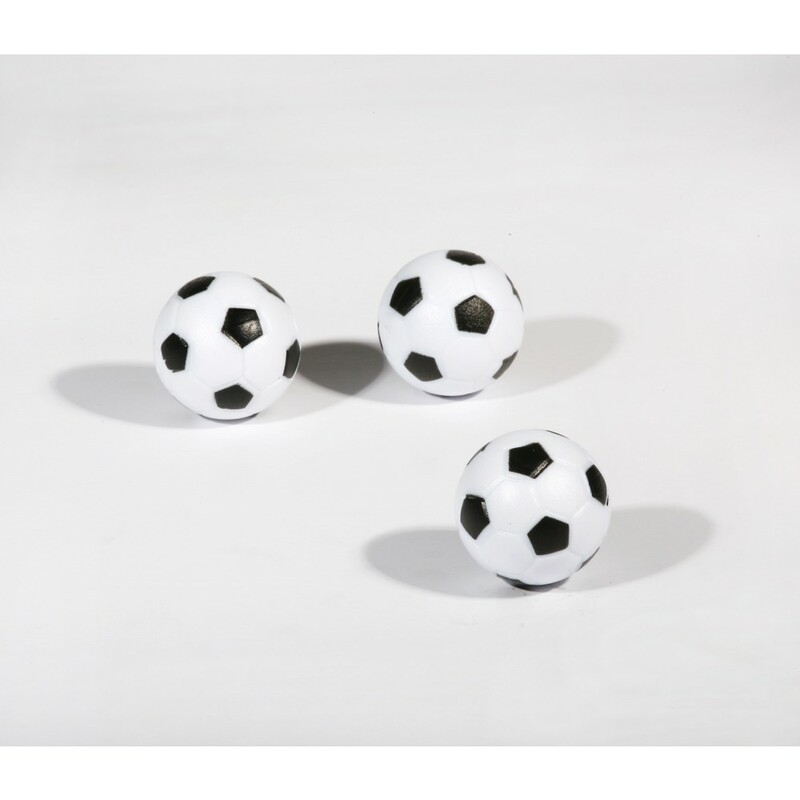 Keep an extra set on hand so the fun never stops.